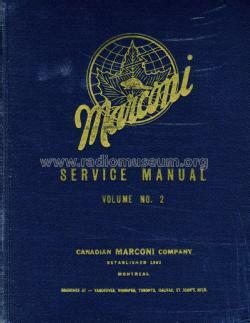 The Marconi Service Manual Volume No. 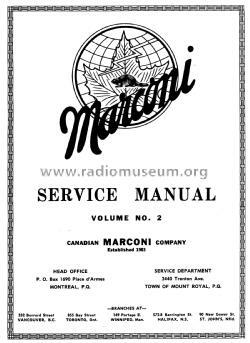 2 is a hard cover service manual covering Marconi radio models (Immediatly after WW2). 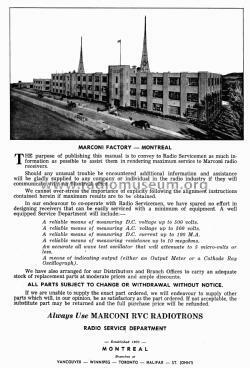 Model numbers from 216 to 289 are included in this manual. 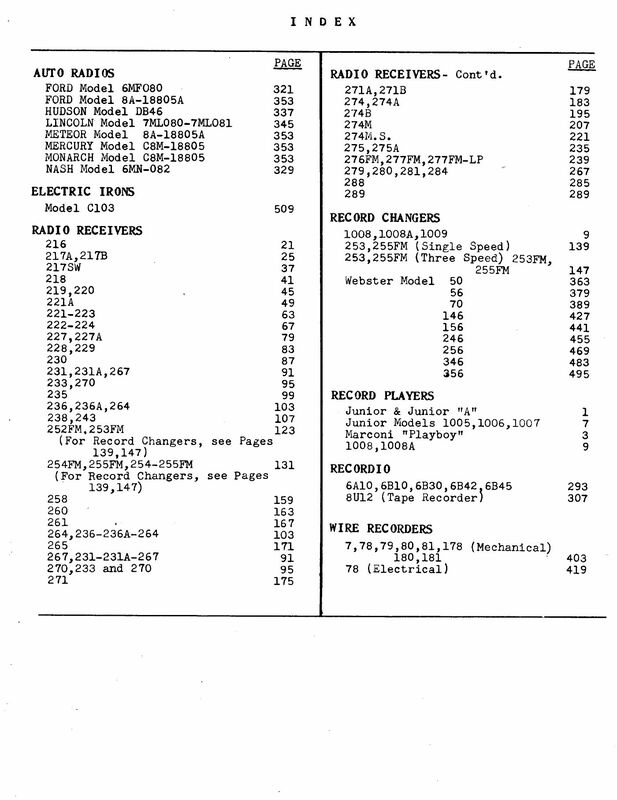 Record players, record changers, recordio and wire recorders are also covered in this manual. 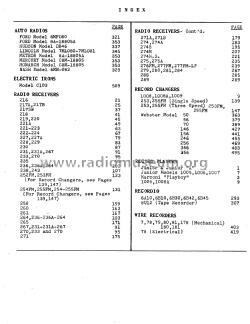 Click here for the 96 models documented in this literature, i.a.